The Barton Swimming Pool is Olympic "short course" pool (25 meters long) featuring six lanes with diving platforms and seating for about 150 people. - Use by an organization such as Boy Scouts or local swim teams. Contact Brooke Thompson for a Pool Rental Application. For more information, call (620) 786-1144, or send an email. 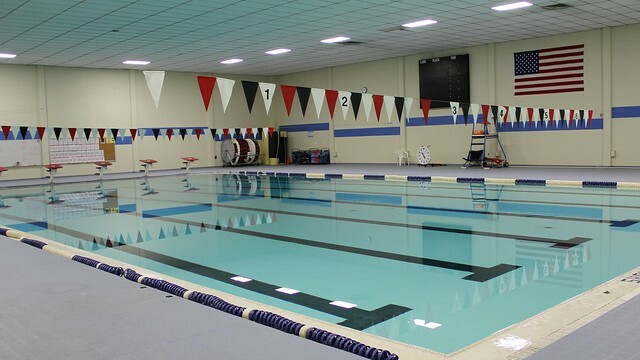 Barton's pool is open to the public for open swim sessions. Want to come swim at Barton's pool? Check out this month's schedule to find an open swim session time!